Waffles. Helicopters. Hula Hoops. Cigars. What sounds like a Mad Libs word bank is actually the recipe for the Whimsical Oregon Wedding of madly-in-love couple, Adam & Michelle. 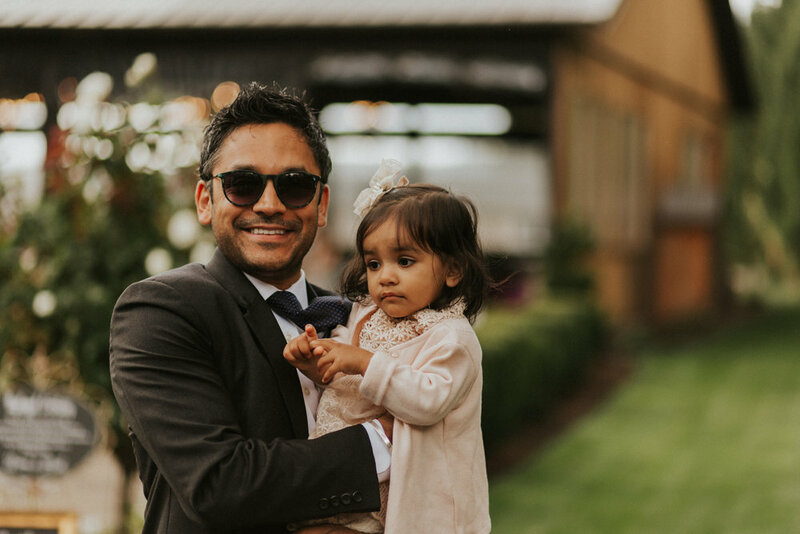 The Water Oasis in Newberg, Oregon was the perfect venue for their Whimsical Oregon Wedding and provided so many beautiful opportunities for the couple to express their personality through details meaningful to them. Their love story began at a waffle cart, both strangers standing in line to buy waffles. Michelle went up to pay and realized she had forgotten to bring cash instead of a debit card. Adam kindly offered to pay for her waffle, and the rest is history. To commemorate the chance encounter that started their love story the couple incorporated a waffle unity into their ceremony. The veil Michelle wore was from her grandmother, who also said a heartfelt speech at the reception. Michelle, being an avid hula-hoop dancer, showed off her hula-hooping talents on the dance floor with Adam after their first dance, and later in the night she did a light-up hula hoop dance under the stars! There were dozens of colorful hula hoops around for kids and adults alike to practice their own skills. Relatives set-up an intimate cigar cabana at a covered outdoor hideaway at The Water Oasis offering the finest cigar selection for guests to enjoy amongst plush red wingback chairs and calm water views. 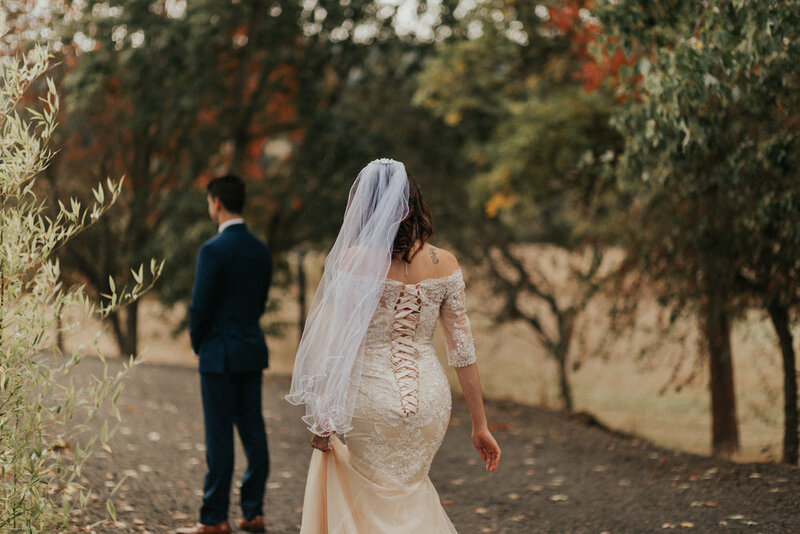 The grand finale of this Whimsical Oregon Wedding was the arrival of a private helicopter that landed on the grounds and whisked Adam and Michelle away to the airport for their honeymoon to Portugal! Congratulations Adam and Michelle - wishing you both a lifetime of love, happiness, and waffles! Photos featured in this blog were all taken by Marissa Solini serving as a second photographer for Katy Weaver Photography.